The relatively high performance of the, the high altitude environment where jet aircraft routinely operated, and the new and different demands put on pilots flying jet aircraft required that a jet trainer be developed to aid this transition to a new mode of flight. 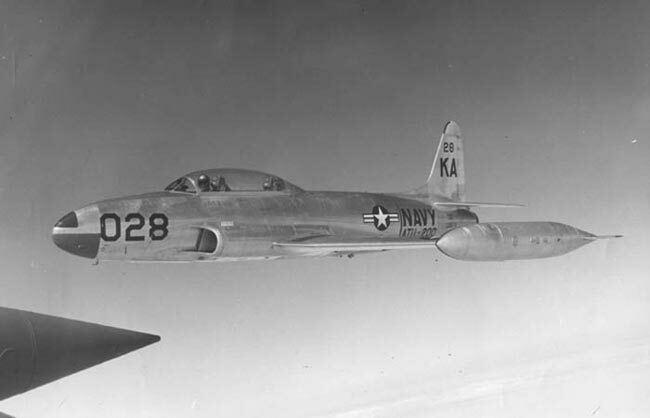 The answer was the T-33, which was created by inserting a twenty nine inch plug ahead of the wing of a P-80, the Air Force's first operational jet fighter - a second twelve inch plug behind the wing which provided the extra space for a second cockpit with dual controls. Ejection seats and 235 gallon jettisonable centerline tip tanks were added and, on March 22, 1948, Tony LeVier made the aircraft's first flight. The T-33 flew even better than its single seat ancestor. Cleaned up and refined, the airframe climbed faster, cruised more effortlessly and was slightly faster than its older and smaller cousins. 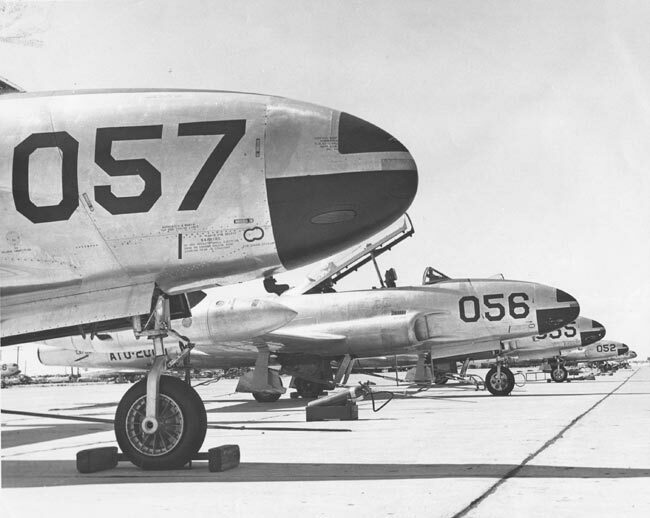 Initially designated as a variant of the P-80/F80, the TP-80C/TF-80C, the designation was subsequently changed to T-33A. The U.S. Navy version was designated the TV-2. from 1954 to 1958 for transitioning student pilots to jet aircraft. TV-2 on the NAS Memphis flight line. 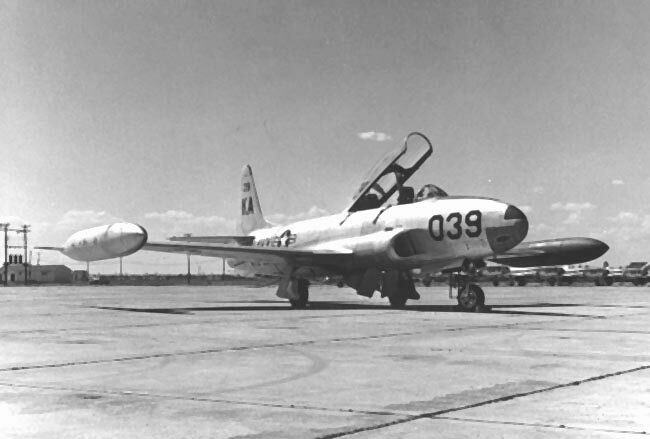 The TV-2 (T-33B), was developed from the single-seat F-80 fighter by lengthening the fuselage slightly more than three feet to accommodate a second cockpit. Span. 37 ft. 6 in. Length 37 ft. 8 in. Height 11 ft. 7 in.